What's Going on in October..
Over There premieres at HERE, October 15th-18th. Tickets are available! Thank you to everyone who supported our fundraising campaign! Our goal was met! We moved into the theatre this past week and the Columbia Stages crew has begun constructing our set, designed by my longtime friend and collaborator, Schuyler Burks! Today the cast and management teams will move to HERE where we will continue rehearsals for the next week. 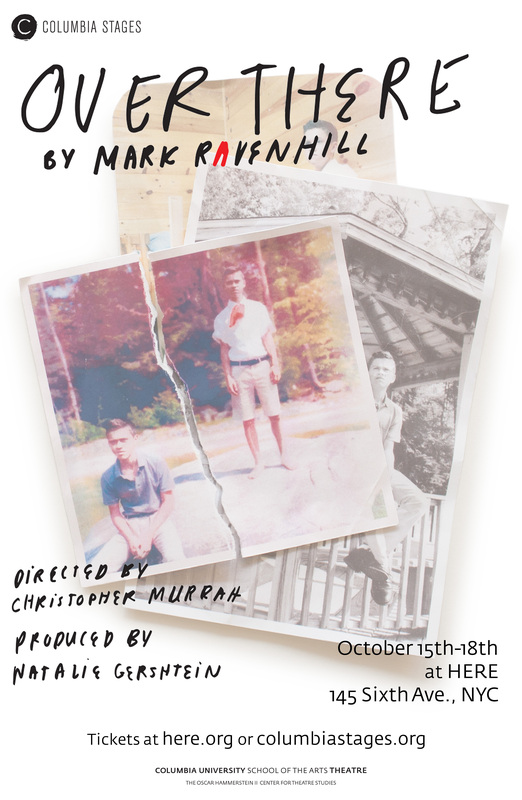 The incomparable design tea of Jennifer Schriever, Christopher Metzger, Jack Cummins and Shayna Strype will assemble next week for technical rehearsals heading towards our opening night of October 15th! Set Design model for Over There, HERE, NYC, October 15-18. Scenic Design by D. Schuyler Burks. 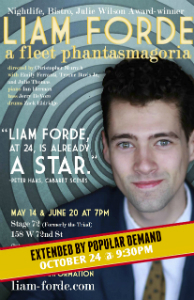 October 24th at Stage 72 in New York, A Fleet Phantasmagoria, Liam Forde's caffeinated romp through his own thoughts, plays its final performance! If you have not had a chance to check out this amazing evening of standards and original material now is the time. Raved about by reviewers and audience alike, the show is one of the most enjoyable evenings I have had the pleasure to work on and I am so happy to celebrate the evening with Liam! Check out Stage 72 for ticket information and reviews.